What a difference 800 years makes. Today I set off on my humble little pilgrimage to Mottisfont in Hampshire with the primary objective of eating their scones. If I'd gone there in 1214, I would have been queuing to see the forefinger of St John the Baptist. Not quite as appetising, I agree. It seems that St John had quite a few forefingers knocking around Europe in medieval times. 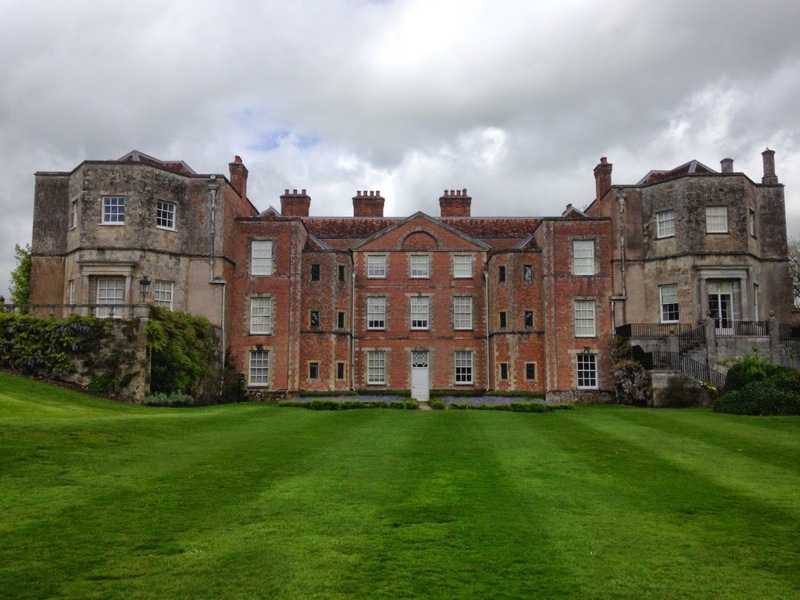 Back then Mottisfont was a priory, located between Salisbury and Winchester, so plenty of pilgrims would have been passing and a holy relic would have been a massive draw, even if that relic wasn't 100% (or even 0.001%) genuine. 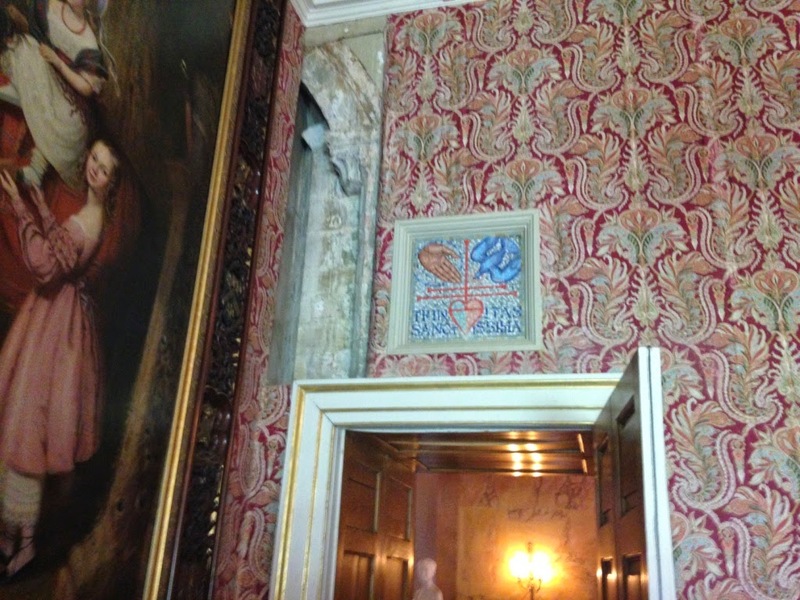 However, the holy relic didn't save Mottisfont from two catastrophies: 1) the Black Death, which struck in 1348, and 2) Henry VIII, who dissolved the monasteries in 1536 and gave Mottisfont to his pal William Sandys. Sandys then did something very unusual; he built a new house around the priory structure. 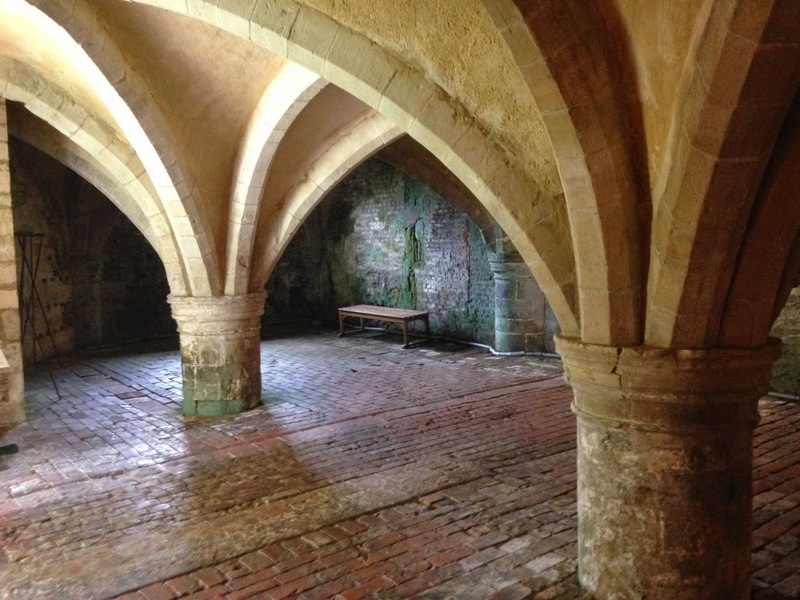 Most abbeys were either knocked down or the building materials looted but that didn't happen at Mottisfont. After Sandys, Mottisfont was owned by the Mill and Barker-Mill family before being bought by Gilbert and Maud Russell, who turned it into a country house for entertaining artists, writers like Ian Fleming, and other eminent people. 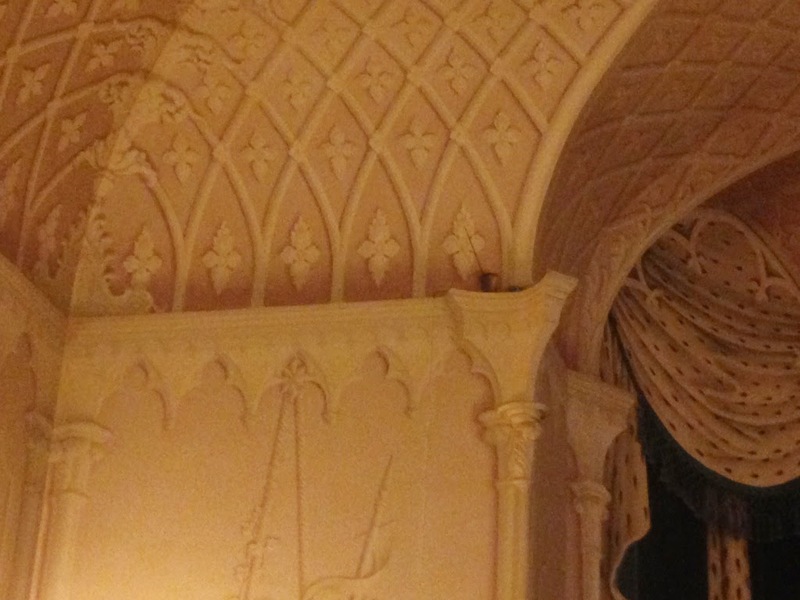 The Whistler Room at Mottisfont is amazing. Maud Russell was a friend and supporter to many artists and Rex Whistler painted the whole room with striking trompe l'oeil murals, so that the flat walls appear lavishly sculpted. The story goes that he argued with Maud about how the room should be painted - she wanted plain colours - so while she was away he stuck some colours into one of the pictures and added plumes of smoke pouring from a vase, as she hated bonfires. There's also another lovely little story in the Whistler Room. Next to a portrait of Gilbert Russell, a sign explains that the picture turned up in Canada when it was put up for sale by the private collector that owned it. The National Trust heard about this and managed to buy it, using funds from their second-hand book shop. I thought this was fantastic - I see second-hand book shops at National Trust properties all the time and I always assumed they were more of a helpful service to members than a money-making venture. Just shows what I know. But let's move on to the scones. 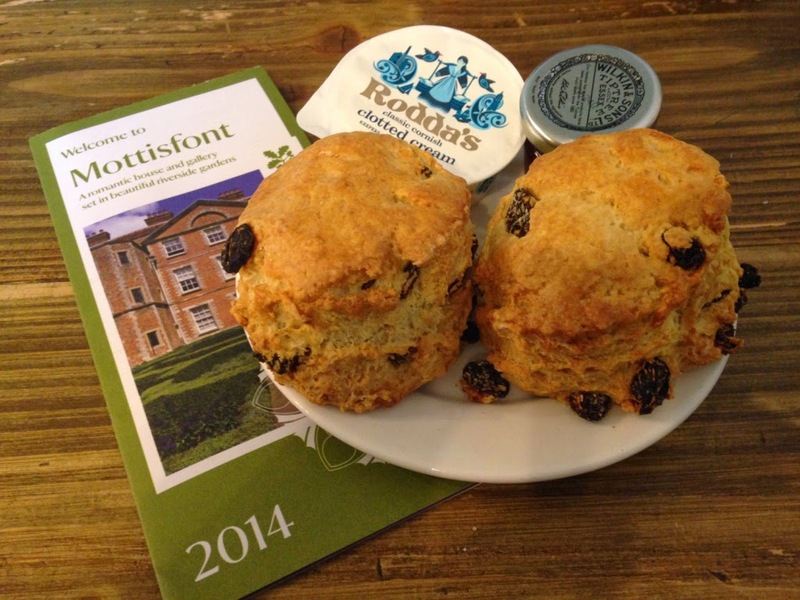 The Mottisfont scones looked absolutely amazing. If you were going to design a plastic scone to adorn dining room tables in B&Q, then it would look like the Mottisfont scones. And they lived up to their looks - they were crunchy on the outside but soft and tasty, with plenty of fruit. Delicious. I've never really warmed to the idea of the country house weekend, so it's just as well that I don't know anyone that owns a country house or would want to invite me to one. But Mottisfont has a wonderful atmosphere - the gardens and surrounding estate are large and inviting, and the thought of sitting in the Whistler Room with a dry Martini waiting for dinner is enough to make me accept should the invitation ever come. A really lovely place.